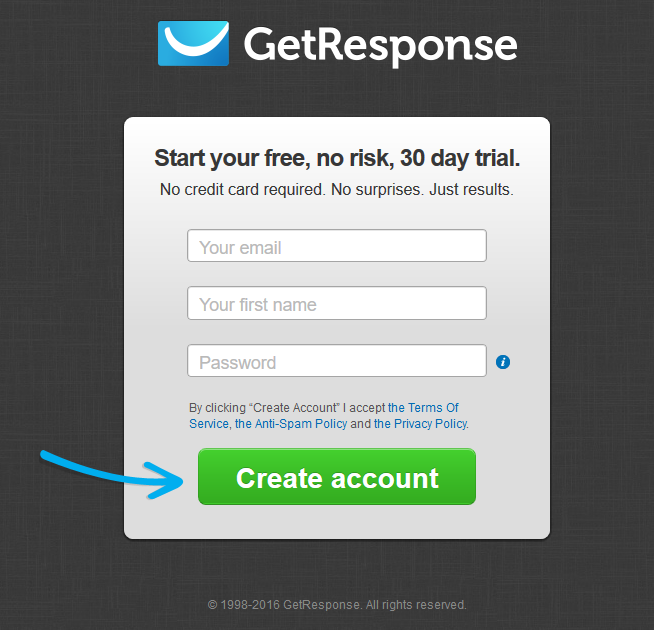 GetResponse is the easiest Email Marketing service. It enables you to create a valuable subscriber list , so you can develop relationships with them. In “Coming Soon Pro” plugin You can use this service in one click. You just need to add your GetResponse API key and saved the settings. Our plugin will synchronize the campaigns list and provide a way to add your subscriber user in your GetResponse account. Unlimited autoresponder that enables you to follow up automatically communication with your subscriber contact users. Analytics and segmentation tools to enable you to create targeted offers to improve conversion rates. A coordinated set of individual email marketing messages delivered at intervals and with an overall objective in mind. A campaign allows each new message to build on previous success. Select GetResponse from Email Carrier Type. Enter your GetResponse API key. 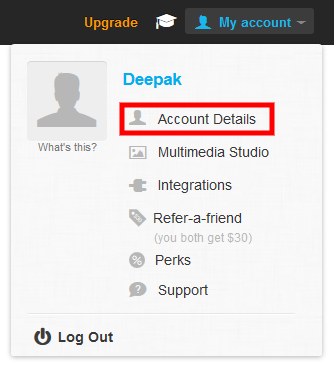 After your account is verified, GetResponse account will used as subscriber form directly in your plugin theme. GetResponse is a free website which is helpful for you with email marketing, also you can create, send, share and track your email newsletter and reports easily. If you are looking for boosting or promoting your business than you are in the right hands, as GetResponse is the best in this job. But before you use this service, you first need to create GetResponse account. But if you’ve created an account, then it’s easy to login. Here are some steps on GetResponse login through different ways. First Click on getresponse.com to forward you on GetResponse homepage. 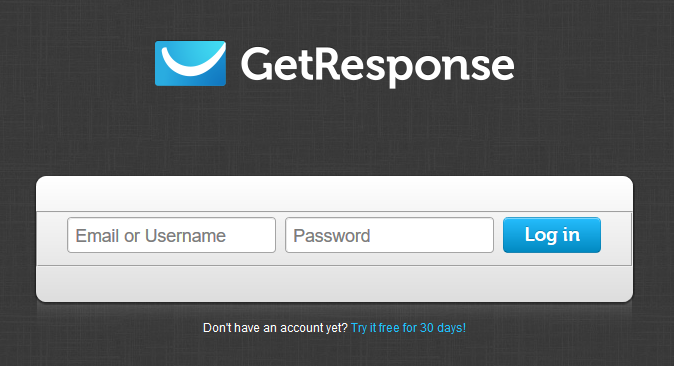 Once you land on GetResponse login screen, click on “Login” button, which is look like below image. 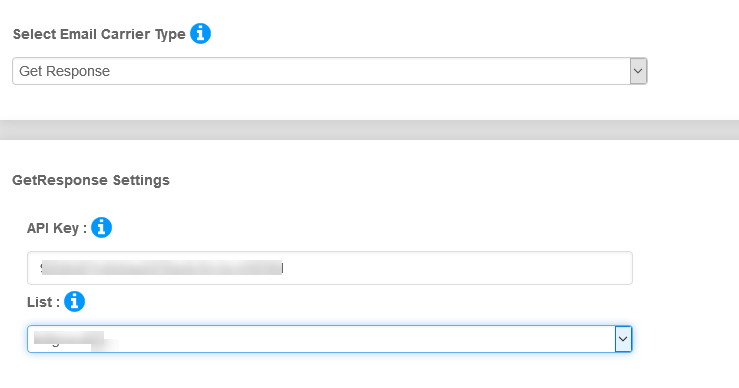 Once you click on it, you’ll redirect on login box where you’ll need to enter your username/email and password. After entering, click on “Login”. The GetResponse affiliate program is a huge opportunity for all affiliate marketers to easily increase their online revenue! The email marketing industry is sky-rocketing and with lucrative payouts such as with GetResponse you can count on great ROI. Their affiliate management provides one of the best support of online marketing. It’s for free and is easy to create a GetResponse account, just follow these simple steps to quickly create an account. First go togetresponse.com. Once you will on GetResponse homepage. Simply click on “Create account” button. Where You Can Find API Key? It is assumed that you have created an account on GetResponse. Once the account is created, you will get a GetResponse API key, same as the below image. This API key is used to identify your account so you need to keep it securely. Now, enter this API key in the below code. then Click again on Save Settings.